This article appeared in Vermont Art Guide #2. 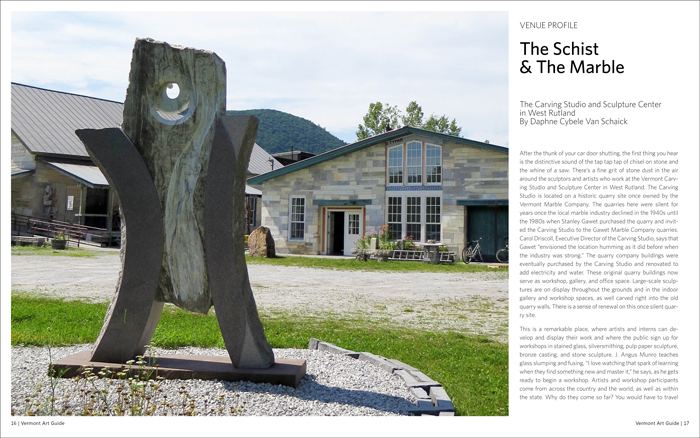 To read the full article, purchase Vermont Art Guide #2 or subscribe. The stacked chunks of schist and marble are held together by gravity and friction, and there is a strong sense of solidity and strength. He listens to the sound of the carving tools and says he can tell when someone needs help by the sound of the work. The gallery and workshop room shows wood and stone-carved sculpture as well as large photographs of the quarry. 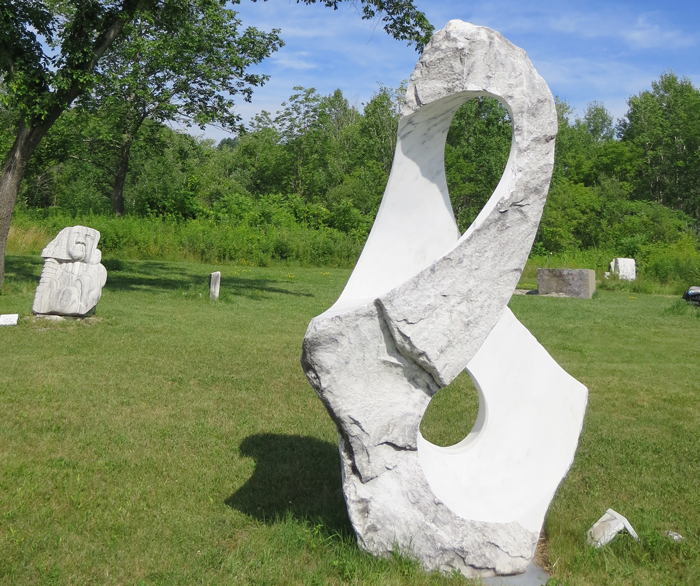 The small field littered with large marble, granite, and metal sculpture across from the main building makes for a great picnic spot.